The compact SUV Crossover is every bit as stylish as it is fun, both to look at and drive. With a style all of its own the Nissan Juke dares to be different and succeeds. Equally at home in the city streets or on the motorway and country roads the Juke is at home in every situation. Available in 7 versions and trim options from the Juke Visia to the top of the range Juke Nismo RS there’s a version to suit you. Available with either a petrol or diesel engine including a turbocharged version. The top performing engine power wise can hot 0-62mph in just 8 seconds. Fuel economy is impressive with the most economical engine returning up to 70mpg. The interior is of a funky design in keeping with the exterior. The centre console comes in a variety of colours. Even in the entry level version the level of equipment as standard is impressive with air conditioning, electric windows, 16 inch alloys, LED Daytime Running Lights, and60/40 split seats as standard. Boot space is more than adequate with up to 377 litres available, put the seats down and this jumps up to 1,189 litres. The all-new Nissan Juke is a highly affordable SUV. Coming in a range of specs to suit all tastes this highly fashionable SUV could be bought at a discounted price from one of our many Nissan franchise dealers which are spread throughout the UK. Choose your model online, decide on your spec, choose the colour and see how much you could save with our online quote system. Our dealers offer full finance options with a finance package to suit all budgets. 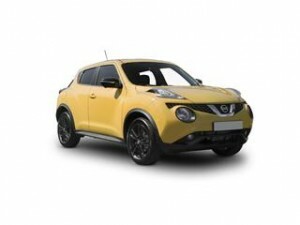 These finance options can be discussed after you have received your discounted quote for your brand-new Nissan Juke.